Raising children is difficult. Carving a future is even more difficult, especially in the chaotic world of the Millennials. As a parent, if you ever find yourself wondering how to prepare your child for success in this new world of work,"Raising an Entrepreneur: 10 Rules for Nurturing Risk Takers, Problem Solvers, and Change Makers" is your motivational guide filled with families who developed their own path to entrepreneurship and a fulfilling career for their children. Raising an Entrepreneur: 10 Rules for Nurturing Risk Takers, Problem Solvers, and Change Makers is about changing the script for what it means to be a successful parent. The book’s focus is on leveraging a child’s own skills to build a successful rather than an unwritten and outdated reality that many parents still cling to. This reality assumed that the keys to a successful future are a “good school”, “good job”, and good “connections”. 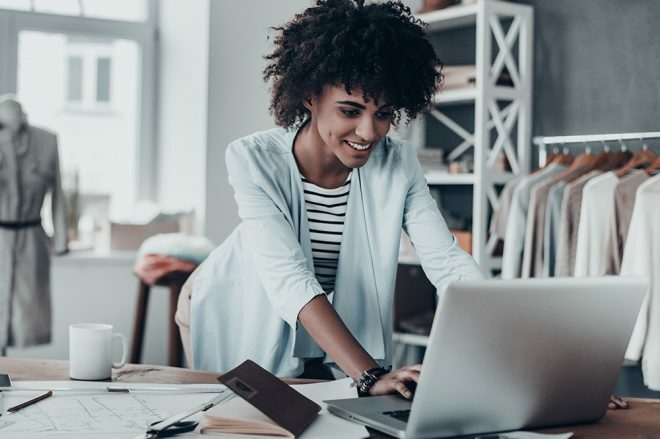 Raising an Entrepreneur dispels those assumptions and offers a different approach for parents who want their kids to survive in the new world of Millennials and beyond. What is Raising an Entrepreneur About? Raising an Entrepreneur is more than a “teach your kid how to be a successful entrepreneur” book. It’s a guide to parenting innovation. It’s about how to help your child succeed, no matter what his or her pursuit happens to be. This is a radically different style of parenting than the traditional “carve out a future for your child”. Yet, it isn’t entirely a free-range, “let your child do anything” parenting manual either. It’s a balance between parental guidance and trust in your child’s talents and interests. The book, however, spends the majority of its attention on how this new shift in parenting is a perfect foundation for future “budding” entrepreneurs. We live in a world where college dropouts can earn billions, business owners can work from home in pajamas and Millennials no longer have access to a secure career ladder. That kind of environment requires a person who is able to deal with competition, failure, adaptability and resourcefulness. The book’s point is that those factors mentioned above (competition, failure, stability and resourcefulness) are essential to building a budding entrepreneur, whether her or she go to an Ivy League school or not. You can teach strategy in school, but you can’t teach adaptability. You have to experience it. That’s why you have to find the right balance between parental guidance and a child’s freedom to pursue his or her own path. If parents tries too hard to save their child from failure (aka helicopter parenting), they risk sabotaging their child’s future capabilities. If parents offer little to no support or guidance they also risk sabotaging their child’s future capabilities. The key is balance and Raising an Entrepreneur hopes that parents have that conversation about their parenting style now rather than later. 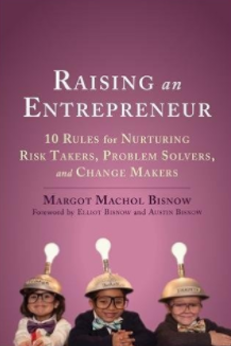 Author Margot Machol Bisnow is a Mom, economic advisor and former editor who served in the government for 20 years in various roles including the in Federal Trade Commissioner and as Chief of Staff of the President’s Council of Economic Affairs. She was the publisher and editor of “The Scene” with Bisnow, a highly popular economic news and lifestyle magazine for real estate professionals. Raising an Entrepreneur offers an optimistic rallying cry for entrepreneurship outside the traditional mold. 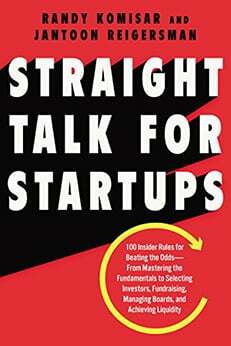 In this book, entrepreneurship is more than a tech startup that you start from your garage or a retail business. Entrepreneurship is leveraging talent and interest to achieve the lifestyle you desire. It’s about the crafty kid who finds a way to turn his or her passion for beads into a fulfilling enterprise. It’s also about the kid who always plays video games and finds a way to transform that interest into a career as a professional gamer or designer. This new definition expands entrepreneurship to allow more people to join in. Parents who hold to a more traditional view of parenting may be a little uncomfortable with some of the stories and content in the book. In Raising an Entrepreneur children are given an incredible amount of leeway to do things like return home to start a new venture or drop out of college. These stories are representative of the general recommendations that are in the book. There are inspirational stories with general advice, but no specific quick answers to the key parenting questions that might arise from the book’s controversial message. Why Read Raising an Entrepreneur? Raising an Entrepreneur is best suited for parents of entrepreneurs who don’t feel that the ordinary path to entrepreneurship applies to them, either because of resources or interest. 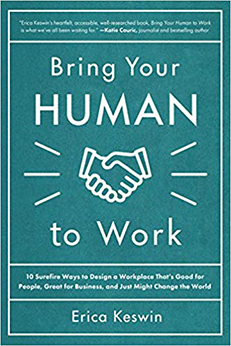 The book provides heartfelt, inspirational stories of children and adults who were able to take their resources and turn them into a thriving industry. In that respect, it is much like “The Power of Broke” but it takes a different perspective. In Raising an Entrepreneur, the focus is on childhood and early adulthood experiences (playing sports, dealing with bullies, going to college). Bisnow encourages parents to expose their children to as many of these experiences as possible and to follow their lead. In doing so, both parent and children have the opportunity to create a path in life that works in the best interests of the child and is the key to a fulfilling career.